Pick of the Week: 20% Off Social Skills Tools! Happy Tuesday, Different Roads family! We hope you had a restful weekend! What better way to celebrate this 4-day week than with a fresh new sale.? 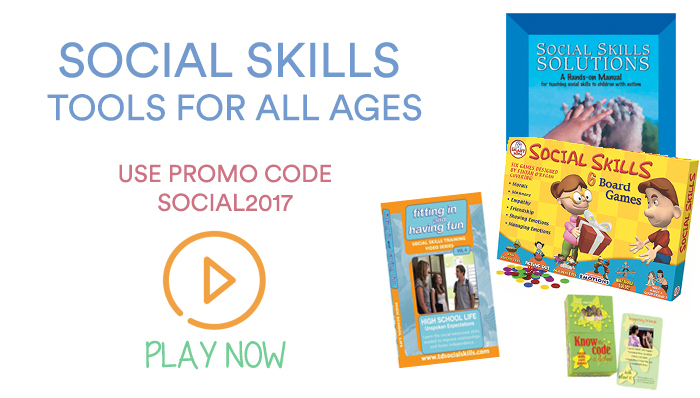 Save 20% on your purchase of select social skills tools this week only by using promo code SOCIAL2017 at checkout! Click here to view the sale! Written by: Different Roads to Learning on January 17, 2017.